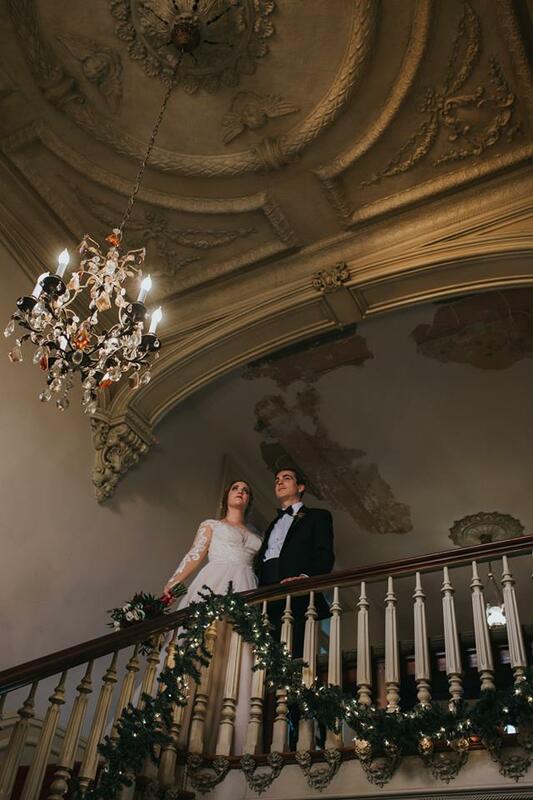 Plan your unforgettable day in a 19th century historical home, where weddings have been a tradition since 1871. The natural beauty of the home and the grounds is breath-taking and will add elegance to any event. Planning a wedding can be exciting, challenging, and downright unnerving. The Woodruff-Fontaine house has a preferred caterer list, and can recommend vendors to fit your needs and budget. 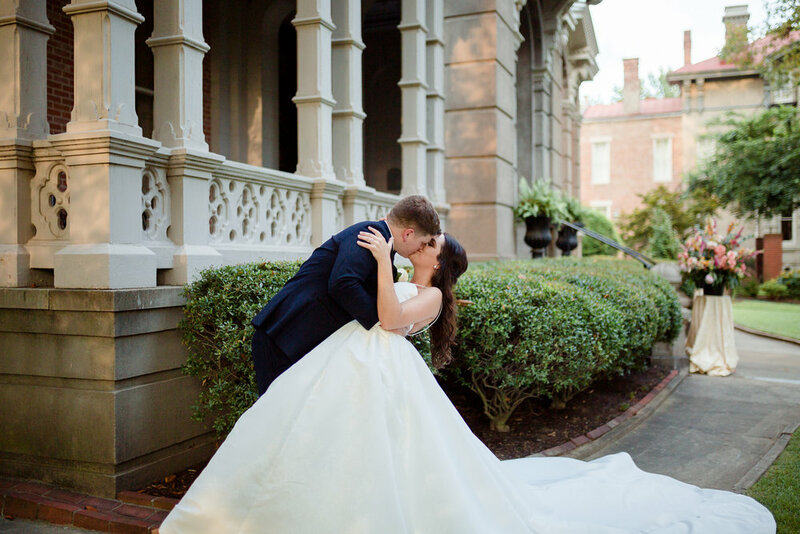 The Front Lawn of the Woodruff-Fontaine house is a beautiful place to say I Do! From spring till November when the grounds are in bloom, the scenery is enhanced by nature, you might not need to have additional decorations. The front lawn can accommodate up to 250 guests. The Root Cellar provides an ambiance of a rustic-English feel. It truly takes you back to the period of when the house was built. There are two large and two smaller rooms featuring brick, stone, beamed ceilings and four faux fireplaces. The Root Cellar can accommodate up to 100 people. 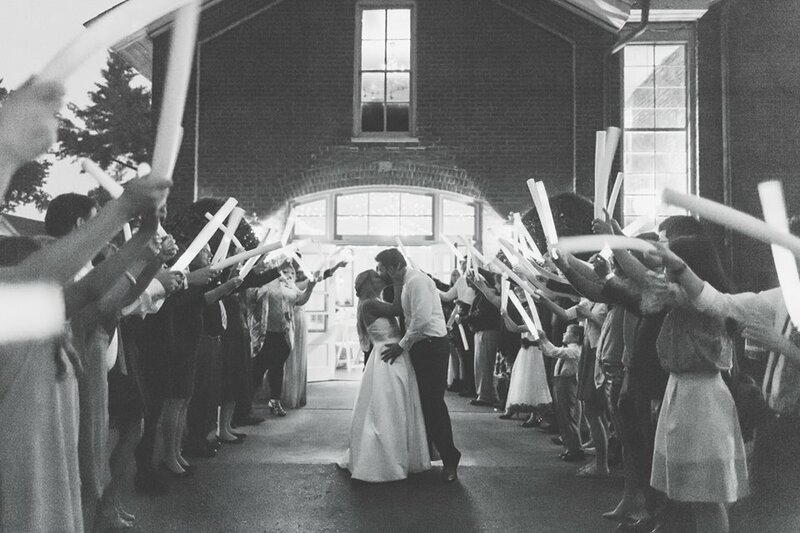 The Carriage House accommodates up to 200 people should you need to host a bigger wedding reception or event. This charming Carriage House has open French doors that lead to the outside garden. It is a perfect venue for a spring or summer wedding when nature is at its best! The Carriage House features two large rooms, a bride’s room, a large caterer’s kitchen, and restrooms upstairs and downstairs. On the second floor is a spacious area for the bride and her party to get ready for the wedding, and a window that looks out to the front lawn. A tent can be set up by a vendor and beautifully decorated with chandeliers and ceiling draping to make sure every moment of your wedding is perfect. During the cooler season, the sides of the tent may be wrapped to provide heating or air conditioning. 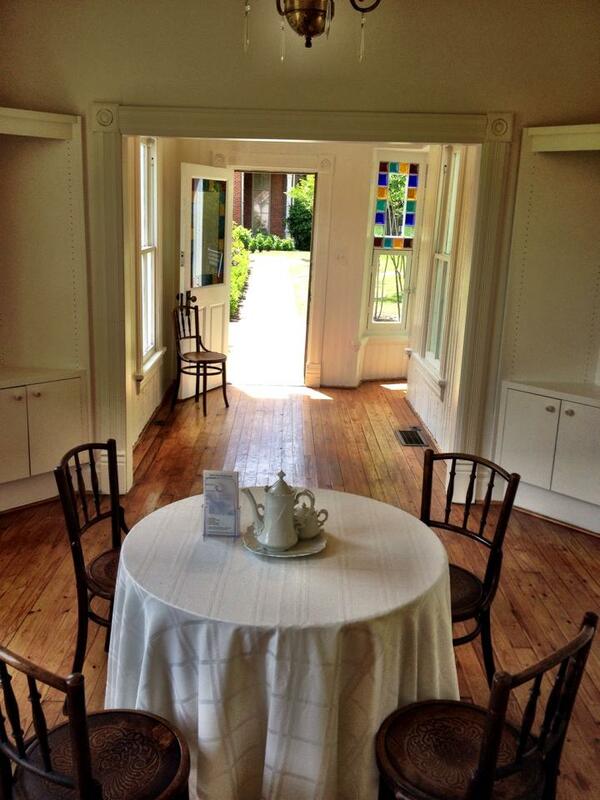 The Gingerbread House located in the garden is also available for rent should you need a smaller rental space. This charming 1890s playhouse can accommodate up to 30 people for a small wedding ceremony and 10-15 people for a small social gathering. View our Wedding Guide for pricing and venue information! For special events and non-profit rates please contact us.